On Saturday, Durban North police officers conducted crime intelligence operations in their area after following up on information about drugs. Police spokesman, Lieutenant Colonel Thulani Zwane, said, “The police officers went to a service station where they arrested two petrol attendants, aged 31 and 37, for possession of dagga. It is alleged that the suspects were found in possession of packed parcels and loose dagga. The officers went to their lockers where more dagga including CAT and ecstasy were found. “The total street value of the recovered drugs is R10, 400. 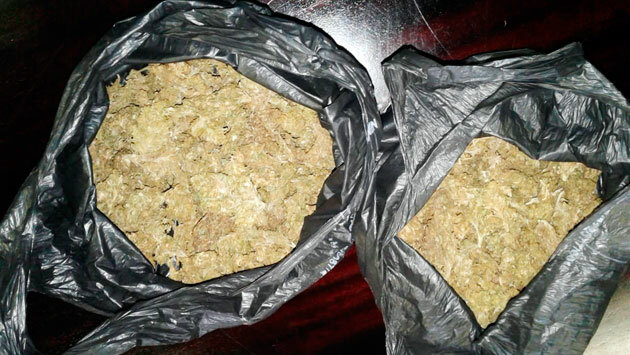 On further investigation, the police officers arrested a 23-year-old suspect who is believed to be the one who was delivering dagga to these dealers. Quick-thinking police officers waited for him to arrive at the service station to deliver the drugs and he was arrested on arrival. “In a follow up operation, the police officers went to Mangweni in Inanda. The officers approached a house and it was searched. Dagga weighing 28.5kg, with a street value of R350 000 was seized. A 55-year-old man was arrested for dealing in drugs. It is believed that the dagga was coming from Swaziland and transported to Inanda and surroundings. All the arrested suspects appeared in the Verulam Magistrate’s Court on Monday,” Lt/Col Zwane said.